Through events that are not at all shady, I have had the fancy opportunity to read a book before it hits the shelves. Specifically, I “found” a copy of Helsreach. 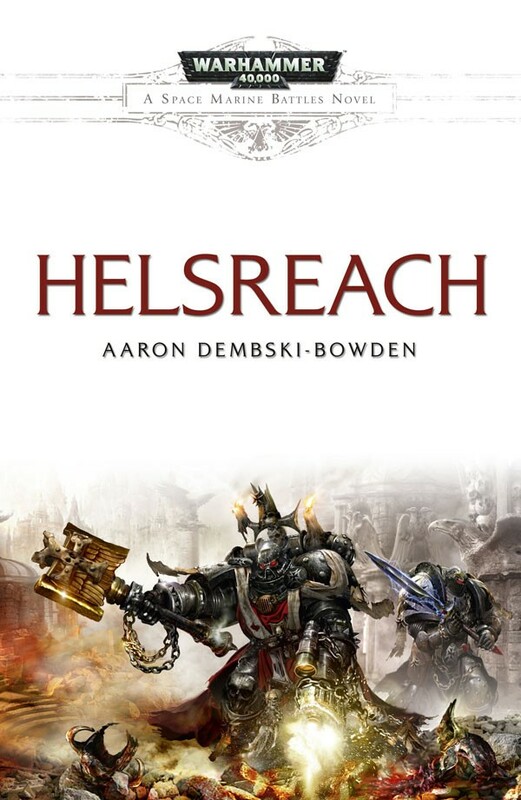 Helsreach is the second of the “Space Marine Battles” novels, which started with the publishing of “Rynn’s World”. This time around the Black Templars are the featured chapter in this 414 page recounting of a small piece of the Third War for Armageddon. Specifically, Helsreach is a more detailed account of Black Templar Reclusiarch Grimaldus’ backstory. Of course, while the primary focus of the story is on Grimaldus, and by extension, the Black Templars, we also get to see the battle from other perspectives as well. 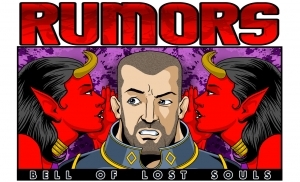 Being the Third War for Armageddon, the Steel Legion features heavily, and there are multiple cameo’s from other major 40k characters. That being said, the book, while good, could use a little more depth in its supporting characters. 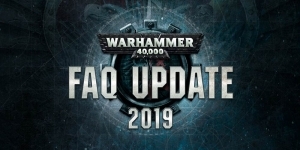 Since the primary focus is on Grimaldus, many of the other characters only attain depth by invoking existing archetypes that the reader is likely already familiar with from other 40k fiction. In addition, while the book does a good job of building up towards the climax, the climax itself isn’t quite the mindrendingly awesome spectacular that I was hoping for. Of course, that’s not to say that the book doesn’t have its totally awesome moments. In fact, it has quite a few. The book also does a very good job of illustrating the massive scale of the war, and of 40k in general. 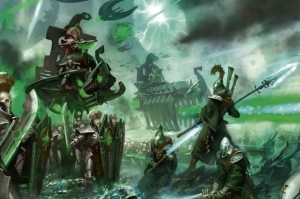 The forces attacking Helsreach are almost unimaginably huge, and yet, they are actually only a small, and relatively unimportant part of the overall invasion. Another cool thing about the book is that it manages to portray the Space Marines in a pretty good middle ground between unstoppable supermen and guys in fancy armor. The Templar’s still feel like gene-engineered warriors of supreme skill and courage, but they manage to be vulnerable enough that their courage has real meaning. 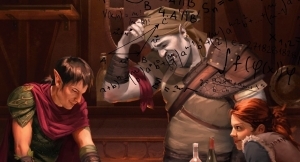 Overall, Helsreach was an entertaining read, and well worth the time I put into it.